HomeBlogHome DecorOrbital lamp by Viable London for Decode. The Orbital lamp is conceptually based on one of the initial problems caused by the use of light bulbs as light sources. The problem was to find a way to soften the immediate light form the light bulb. Traditionally this problem has two solutions. The first is covering the bulb with a translucent layer. The second is the use of a lampshade where the light will be reflected and filtered, hiding the light bulb. Orbital lamp uses internal refraction and reflection to accomplish this diffusion. 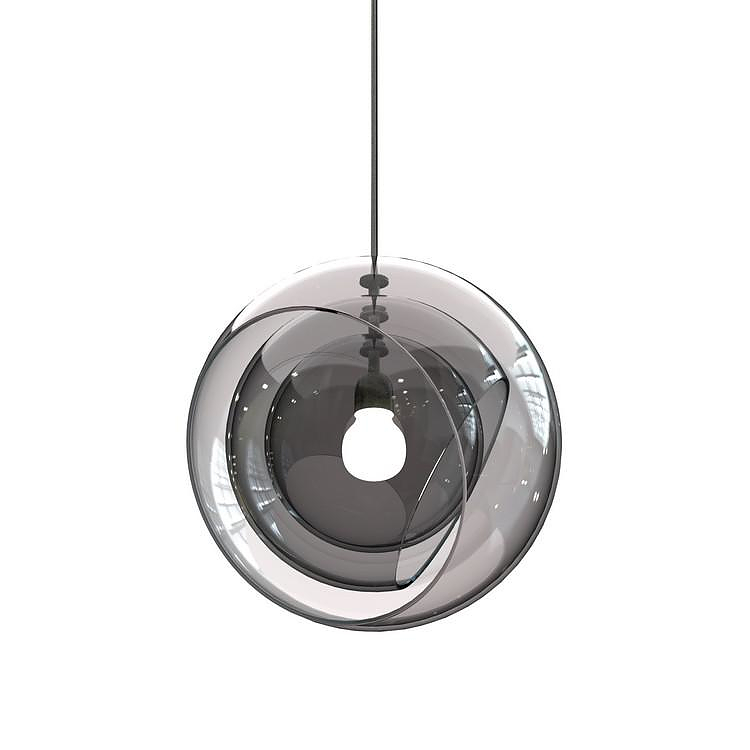 The light bulb is surrounded by three layers of hand blown glass spheres. 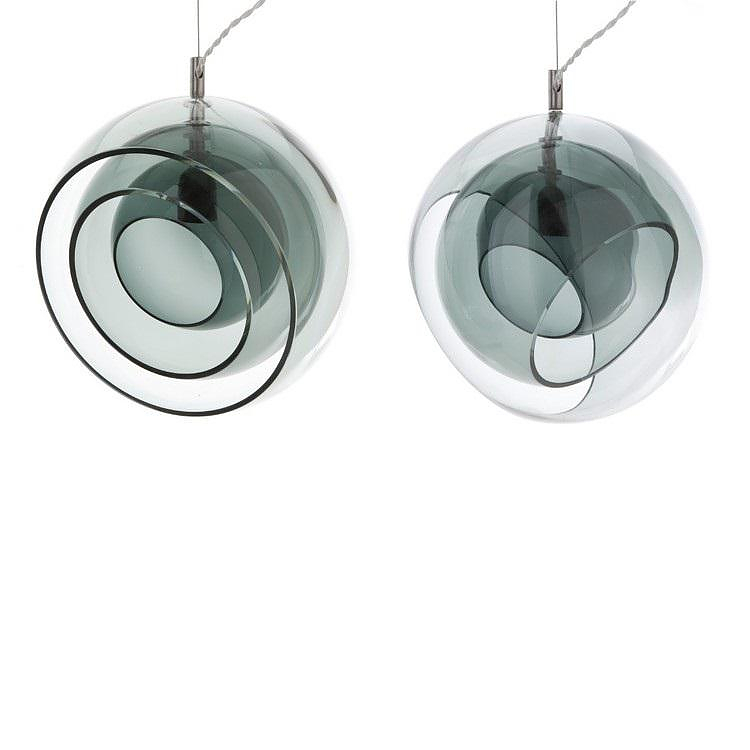 The spheres are lightly tinted with grey color and cause the light to reflect and refract several times before it emerges. The light is spread further and the apparent glare is reduced. Viable London is a design studio formed by Magnus Long, Charles Trevelyan and Gala Wight in 2005. Since then, Viable London has rapidly gained a reputation within the industry for its diversity, ingenuity and creativity.